A first look at Tom Holland's web-slinger's costume in the MCU Spider-Man sequel. Filming has wrapped on Spider-Man: Far From Home, and to celebrate we have a first official look at the new suit (after a few set photos) that Tom Holland's web-slinger will wear in the movie. 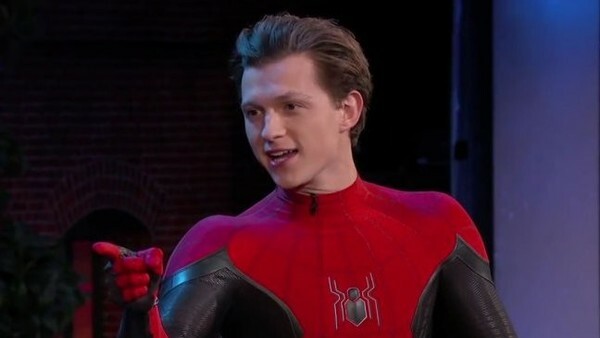 Holland appeared on Jimmy Kimmel Live to debut the new costume, which is already the fourth different suit he's donned in the MCU (with another on the way too). This one is obviously far more stripped back from the Iron Spider suit we last saw him in during Avengers: Infinity War, but presumably boasts a few tech enhancements nonetheless. There are a few key differences to the Homecoming suit too, especially with a much darker tone and the inverted colours on the sleeves, which serves as a homage to Steve Ditko's original Spider-Man suit from 1962. It's another great look for the MCU's Spidey, and part of a film that is shaping up nicely. Once again directed by Jon Watts, Far From Home will be taking Peter Parker on a global adventure that sees him work with Nick Fury and Maria Hill and battle Jake Gyllenhaal's Mysterio and a number of other villains. 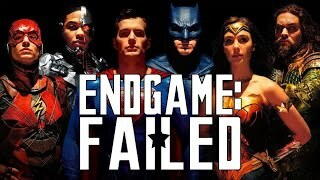 Of course, Spider-Man is currently dead in the MCU, but that shouldn't be a problem by the time this rolls around, with the movie picking up just minutes after Avengers 4. What do you think of the new Spider-Man suit? Let us know down in the comments.